In Catalonia an important process of independence is taking place against Spain. At the request of the Popular Party (PP), the Spanish Constitutional Court declared the Catalan Statute of 2010, unconstitutional. This statute was negotiated between the Government of José Luis Rodríguez Zapatero and later endorsed by the Spanish Parliament. 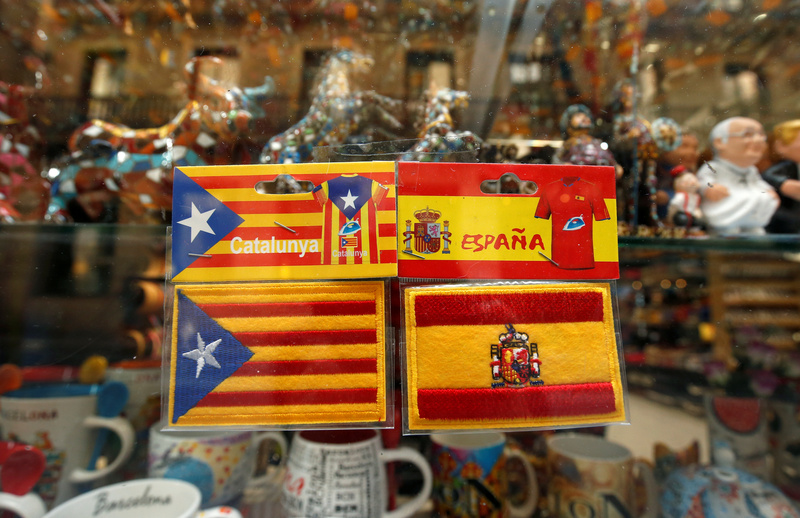 Since then, the number of Catalans who want to become independent from Spain has not stopped growing. The degree of autonomy that Catalonia was going to reach was far too much for a right-wing party as the PP, despite the 2010 statute cuts which were decided by the Spanish parliament. November 9, 2014: A consultation for independence was held, prohibited by the Constitutional Court. Almost 2.3 million people participated in it. These were the results: 80.72% ‘YES’, 4.55% ‘NO’, 9.56% in blank votes and the rest with other answers. Artur Mas, the former president of the Autonomous Community, called the vote a total success due to the conditions in which they were held. In an appearance on the night of the vote, he sent two messages to the central government: The Catalans had made it clear that they wanted independence and they wanted to decide their political future. November 20, 2014: The Board of Prosecutors concluded that there were conditions to act against the Catalan president for holding the consultation on 9 November and, after a debate of more than four hours, it was understood that there was disobedience to the Constitutional Court, which had banned the consultation. January 14, 2015: Following an agreement between the President of Catalonia and the leader of Esquerra Republicana de Catalunya (ERC), Oriol Junqueras, supported by the President of the Catalan National Assembly, Carme Forcadell, the Òmnium Cultural, Muriel Casals, and the president of the Association of Municipalities for Independence, Josep Maria Vila d’Abadal, the Generalitat convenes early elections for the 27 September of that year. September 11, 2015: Demonstration of the Diada prior to 27 September. According to the organization, two million people participated; however, the Urban Guard gave an estimated participation of 1.2 million people. March 13, 2017: Artur Mas is convicted of disobeying two years of political inactivity and a fine of 36,500 euros. Ortega and Rigau are also sentenced, for the same offence of one year and nine months and one year and six months respectively. In addition, Ortega will have to pay a fine of 30,000 euros, while Rigau must pay 24,000 euros. May 22, 2017: In a conference in Madrid, Puigdemont, accompanied by the Vice-President of the Catalonian Government and ERC leader, Oriol Junqueras, and the Minister of Foreign Affairs, Raül Romeva, reiterated again the desire to dialogue with the central government to agree on the question, date and necessary majority of the referendum, but added that the referendum will be held, even if the central government refuses to negotiate. May 24, 2017: Puigdemont sent a letter to Mariano Rajoy, President of Spain, stating that it would be necessary for the two governments to start a dialogue. In his letter he said that the Generalitat had the maximum will to seek a peaceful agreed solution, but respecting the will of the Catalan people. May 25, 2017: Rajoy responded to Puigdemont’s letter with a resounding NO. The President of the central government rejects any kind of negotiation about the referendum and accuses the Catalonian government of threatening the central State. September 6, 2017: The Catalan Parliament approved the law of the referendum and the president convened the consultation for 1 October. In a controversial parliamentary session in which the left grouped in Catalunya sí que es pot abstained. September 7, 2017: Prior to the referendum, the central government responded with a series of reprisals from the Spanish state. The Constitutional Court prohibited the referendum and warned thousand Catalonian politicians. The Prosecutor’s Office issues a complaint against Puigdemont and the Catalonian government. Rajoy announced, after meeting with Pedro Sánchez (PSOE) – who assured all his support to the central government – that he will do anything to stop the referendum. But the Catalan Parliament gave the green light to the Law of Legal and Fundamental Transiency of the Republic and Puigdemont ratified that the referendum should continue despite the complaints. September 8, 2017: Inspections by the Civil Guard began in search of ballot boxes and ballots, ordered by the Attorney General’s Office. The Civil Guard inspected printing shops, the headquarters of the newspaper El Vallenc and private vehicles in search of propaganda material for the referendum. The controls have been repeated every day so far. There have been multiple peaceful demonstrations against these police acts and also Julian Assange defends the right to decide of the Catalans. September 15, 2017: The central government intervened in the accounts of the government of Catalonia and suspended several fiscal competencies. September 17, 2017: In Madrid, an event was held in support of the right to decide, which had previously been banned by a Madrid court. In spite of this, thousands of people gathered. There was a large police presence and the threat of fascist groups attacking the event. September 19, 2017: The Civil Guard took the voters’ census for the referendum and the interrogation by the prosecution of more than 700 Catalan mayors who support the referendum starts. If they do not attend the interrogation, the persecutors office threatens them with jail. This chronology is not complete, but it shows the milestones in this dispute. Both Podemos and Izquierda Unida support a referendum but with guarantees. Podemos sees the referendum as a citizen mobilization, but believes that it cannot be binding. Izquierda Unida, for its part, says that the question of the referendum leaves out people who want a federal state, to which the various existing nationalities of the Spanish State can freely adhere. The problem of guarantees is that, if the central government does not want to negotiate, the guarantees that are demanded cannot be given, since the updated voters’ census can only be given by the central government. Esquerra Unida I Alternativa (EUiA), the political counterpart of Izquierda Unida in Catalonia, decided on 17 September to appeal to the Catalan people to participate in the referendum, although EUiA is against the independence of Catalonia. And here I come to the most controversial point. Who leads the process of independence? The Catalan bourgeoisie is not exactly a very democratic bourgeoisie and is immersed in many scandals of corruption. Although the movement for independence is very transversal, it is highly questionable that independence will serve the working classes, as the parties of the Catalan bourgeoisie have approved in the Catalan government the biggest cuts in health and education among others and have supported the central government when the Spanish parliament has passed anti-democratic laws such as the “Law Mordaza” that cut many democratic rights in order to curb the protests of the citizens against antisocial policies. I personally would vote NO for independence for the reasons mentioned above. However, this does not detract from the right of self-determination of the people. I sincerely believe that the NO would win in a referendum, if it could be carried out with the necessary guarantees, and a democracy should allow the people to decide about their future. The 2010 surveys indicated that 35% of Catalans wanted independence, but now the surveys say that there are almost 50% of Catalonians that want independence. In addition, several surveys point out that 80% of the Catalan people want a referendum and 60% have said that they will participate, even if the Spanish State forbids it. The repression and intransigence of the government of Mariano Rajoy have made many people in Catalonia stand for independence. And if his party continues with this repressive policy, it is expected that soon this number will increase. What are the limits of sovereignty? Is there a right of self-determination only for the colonies or also for the nationalities of consolidated autonomous States? Why is it not possible in Spain what has been possible in the United Kingdom with Scotland? Do the Spanish government and the king fear that a Catalan rupture will provoke an increase in the struggle for a republic in Spain? I had already finished this article, but the events of today, 20 September, in Catalonia made me have to expand it. This morning the Civil Guard and the National Police Corps entered in several Catalan government departments, they have registered the departments and arrested some 14 people, including officials of the government of Catalonia. The leftist parties in Spain have called for a fight against this new repressive spiral of the central government of the PP that is a de facto state of exception in Catalonia. They have called for actively defending the democratic rights that are being cut drastically in the Spanish State. In response, tens of thousands of people have concentrated on ‘Puerta del Sol’ in Madrid and other Spanish cities. What has become clear is that the ruling party has not been detached from its fascist roots. It is necessary to remember that this party was created by seven ex-ministers of the dictator Franco. José Luis Martínez is a social activist and member of the Spanish Communist Party (PCE) and Izquierda Unida. He has published books on Latin America and articles in Mundo Obrero , the newspaper of the PCE. Featured image is from pri.org.